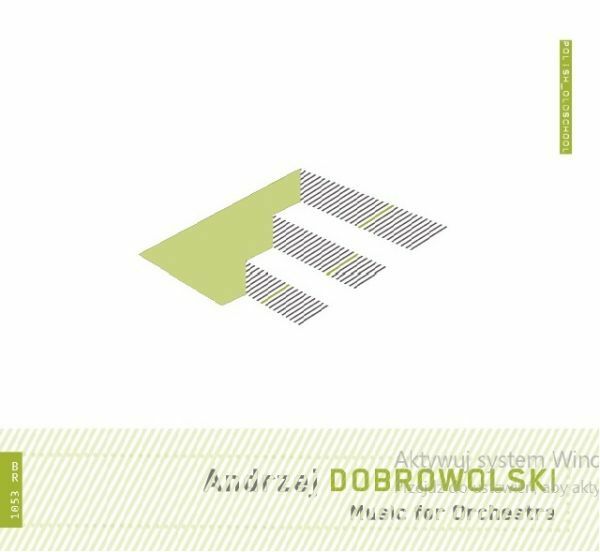 DOBROWOLSKI • MUSIC FOR ORCHESTRA - Good start for polish music. It is tempting to see the history of Polish contemporary music as a succession of simple oppositions. Avant-garde versus reaction, sonorism versus New Romanticism, tape versus orchestra. The case of Andrzej Dobrowolski (1921–1990) undermines these dialectical systems and breaks free from the established order (similarly to the cases of Tomasz Sikorski or Roman Haubenstock-Ramati). The composer translates electroacoustic textures into instruments and creates intensive atmospheres through minimalistic modifications. Dobrowolski’s series of Musics for different ensembles demonstrates a very consistent process of expanding his own original world of sound. However, the structures are only seemingly stable and clear—it is worthwhile to listen to them more deeply and in isolation. A crystal seen from different angles and in different light—arèse’s metaphor proves very useful in describing the works of the Polish composer.